Have a minute? See JMP in action. JMP helps you tackle your routine and difficult statistical problems. 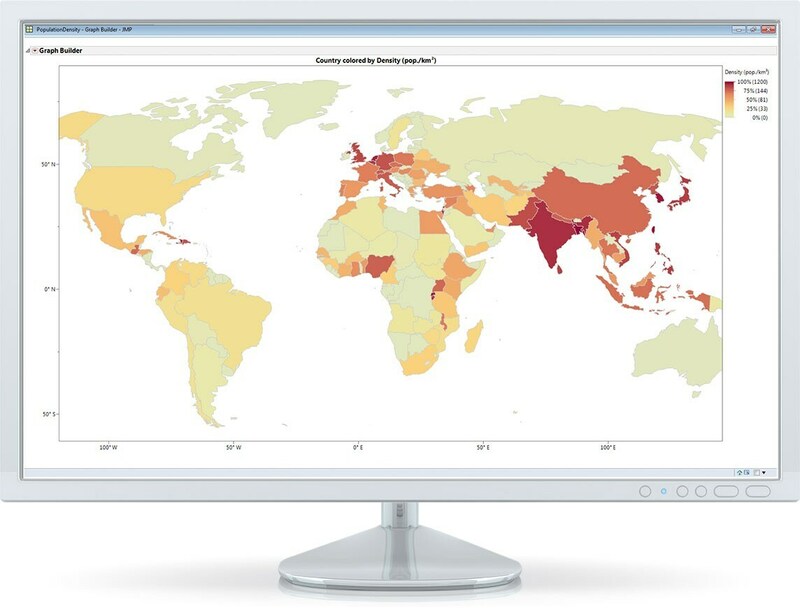 From easily accessing your data from various sources, to using quick, reliable data preparation tools, and performing choice statistical analyses, JMP lets you get the most out of your data in any situation. You’ve done some exploration of your data. Now, you’re ready to ask more questions and make new discoveries. With its linked analyses and graphics, JMP is the ideal data analysis tool for understanding complex relationships, digging deeper, discovering the unexpected. Explore data easily in many forms – import Excel files, read text files and pull data from ODBC-compliant databases. Screen data for outliers, entry errors, missing values and other inconsistencies that can compromise your analysis. Explore and graph data dynamically, developing visualizations that tell the story of your data. Use histograms, regression, distribution fitting and other analysis tools to launch data exploration. Extract words and phrases or visualize and organize words to uncover latent information in your text. Quickly arrange data to identify emerging patterns and focus on key findings. Design your experiment based on the problem at hand, accounting for budget, timing and other constraints. Understand trends and patterns using statistical models to better learn about your business, competition and customers. Demonstrate patterns of predicted response and the effect of each factor on the response with scenario analysis. Gain insight into product performance, pinpoint defects in materials or processes, and address design vulnerabilities. Use JMP to enhance quality – minimize customer complaints and deliver products and services that exceed expectations. Understand and adapt to evolving markets using data mining, survey analysis, choice experiments and other tools. 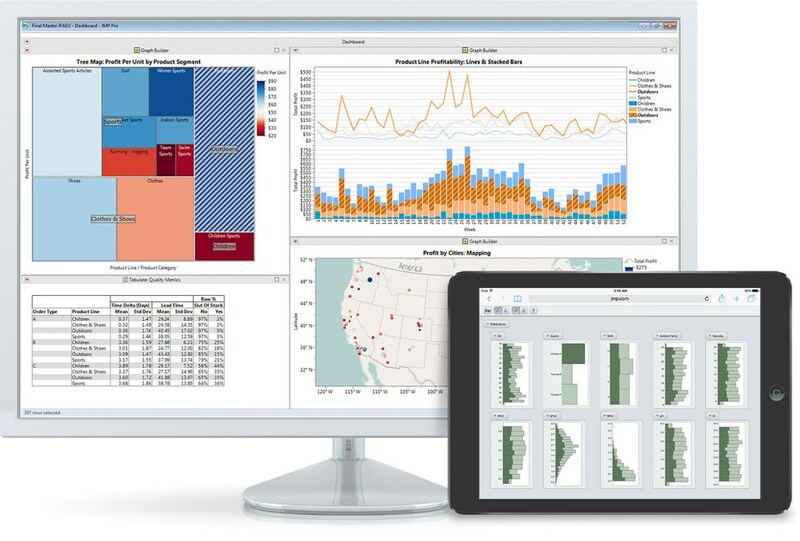 Share your dynamic visualizations in a variety of formats, whether your audience has JMP or not. Use scripting to automate processes, regenerate analysis reports and add new JMP capabilities. Customize every aspect of JMP settings to work the way you think. 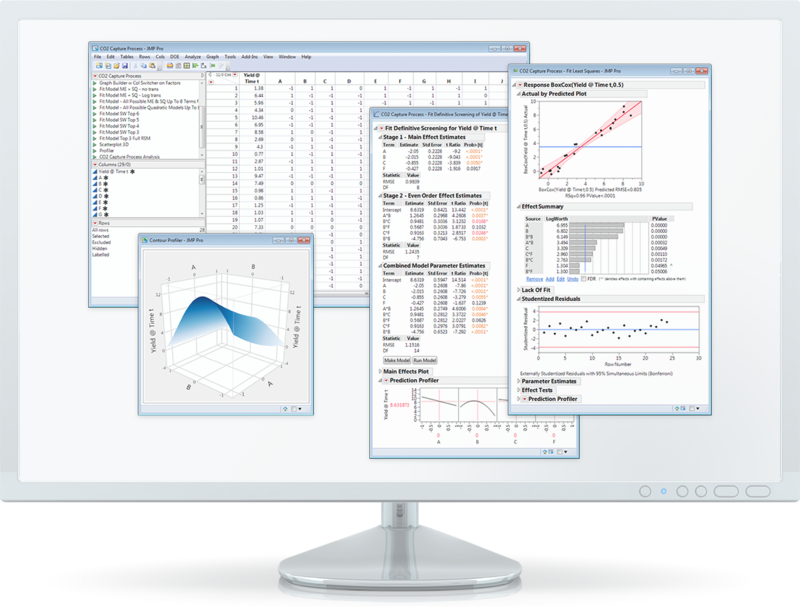 Use the JMP interface to leverage other analytics tools, such as SAS®, MATLAB, R and Python.